There are many different foundations appropriate for a concrete home. A designer will need to consider the building design, climate, and ground when choosing a concrete foundation. 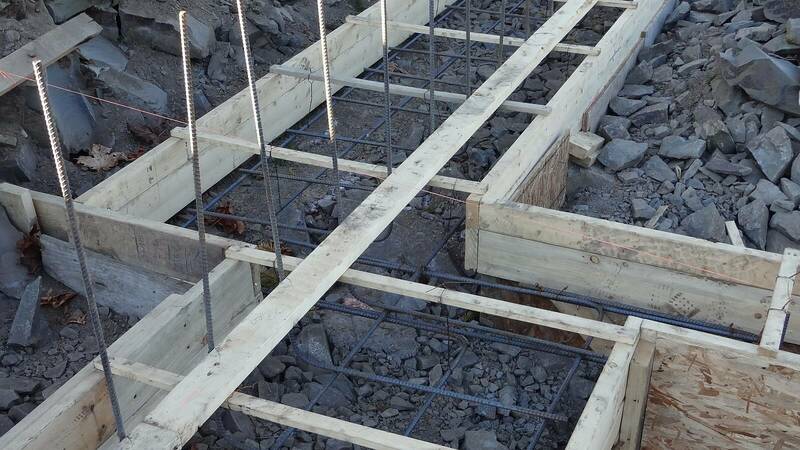 There are three main types of concrete foundations that can be chosen from. 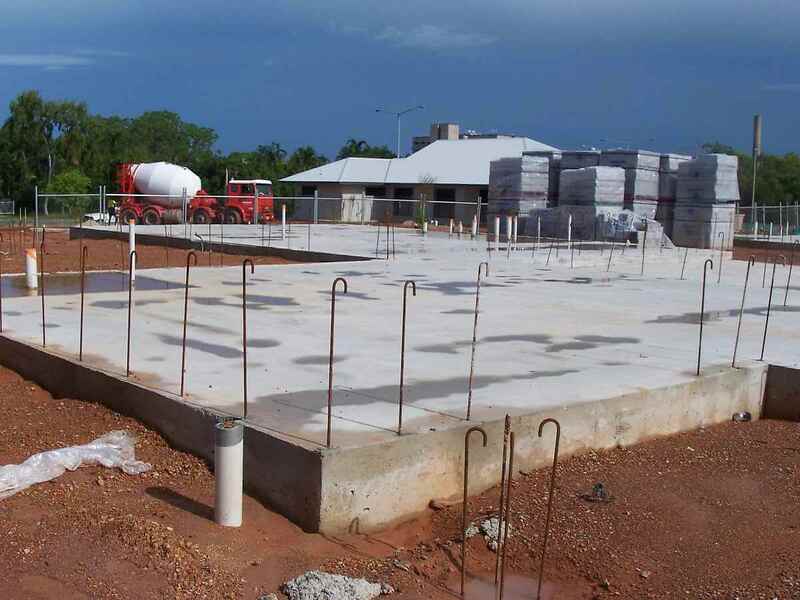 Slab-on-grade: The concrete foundation is poured directly into the ground rather than supported by footing or an intermediary layer between the ground and foundation. This type of foundation is best used in dry regions where the ground does not freeze, and flooding is not a concern. This type of concrete foundation is resistant to pest infestation and fire. 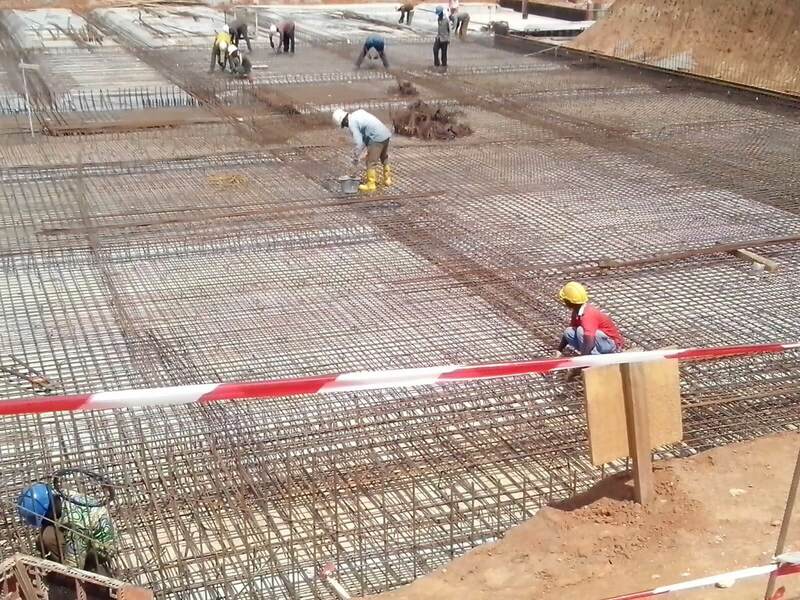 Raft Foundation: Also called Mat Foundations, raft foundations are designed to support the weight of the entire home with the slab supporting the lower part of the home. Columns are used to disperse the wait of upper floors. These structures rest on concrete slabs. This concrete foundation design is great for homes built on low quality soil that is likely to flood. T-Shaped: The T shaped foundation is used in climates that are very cold and the ground is likely to freeze. These types of foundations are ideal for homes with basements and are common in residential homes universally. The footing is placed below the frost line before walls of the foundation are poured. The concrete slab will go on top. People love concrete homes because of the environmental sustainability and the cost savings benefits they will see in their future utility bills. 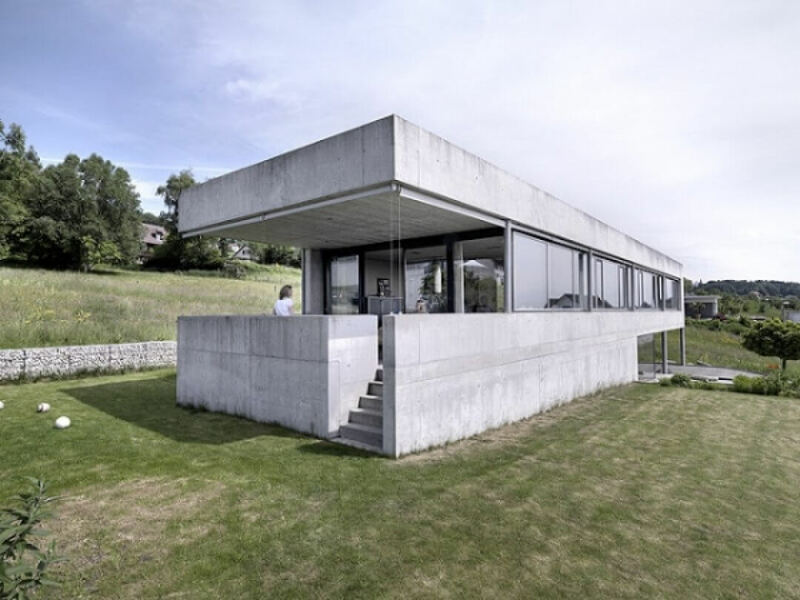 Concrete homes are also loved because they are low maintenance. Because the cost of designing a concrete home can be higher than a wood-frame home, builders should choose the right materials to complement the home. 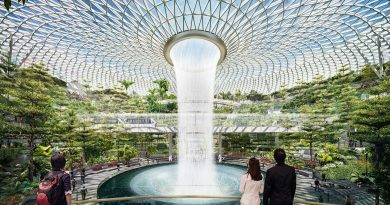 Take environmental and energy saving considerations into the design plan. Concrete homes are more expensive that wood homes. If a concrete foundation is built incorrectly, it could face foundation buckling in the future. Concrete can also have an industrial look that many people don’t enjoy because it can stand out like a sore thumb in the neighborhood. Concrete homes are stronger than other residential building materials and environmentally friendly. Concrete homes prevent termite infestations and can stand up against natural disasters. Modern concrete homes are also soundproof and well insulated which affect your energy bills in the positive way. Concrete homes are also less likely to catch on fire. If you don’t like the industrial look of a concrete home, a home wrap can be used. 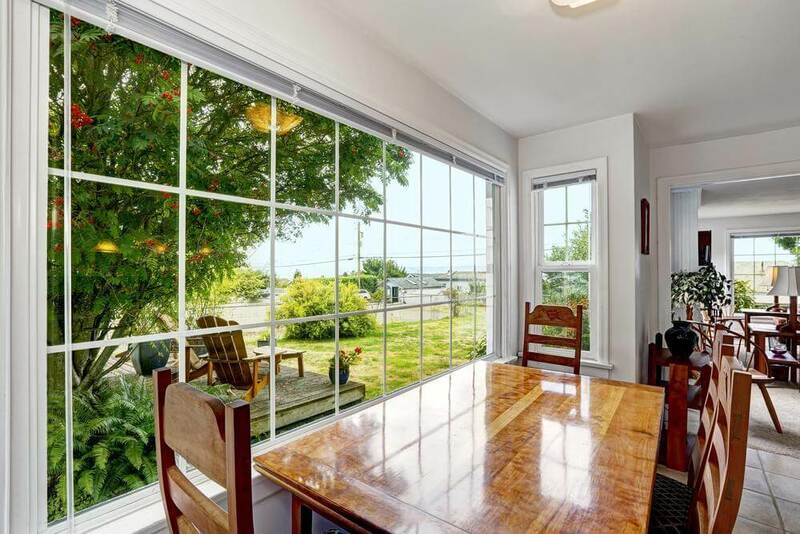 This type of siding can be installed over concrete and can make your home look modern and trendy, or traditional to blend in with the surrounding homes. Designers and builders should consider other elements of the home such as the landscaping, roof, and siding. 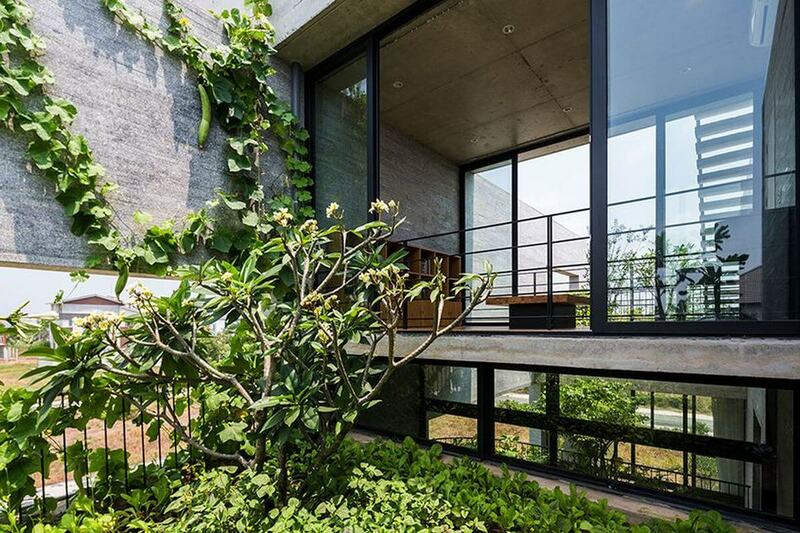 Adding a lot of large windows and natural greenery around a concrete home can help the home look inviting and less harsh. When siding is added, the homeowner can get all the benefits of the concrete home while still retaining a traditional home look. Concrete tile roofs can outlast nearly every other kind of roofing material with most lasting 50 years or more. 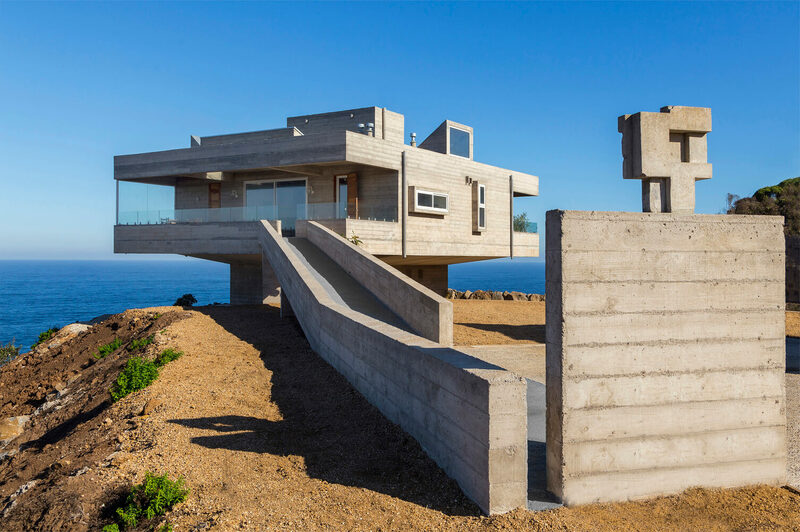 Also, concrete homes work well with advanced drainage systems. If you want to install a sophisticated drainage system that is hardly visible just like sanitary drainage systems in commercial facilities.